Robert Moeller the Director of Sales of Anvid Products joins eHealth Radio and the Health News Channel. Through the company's flagship brand, Sienna, Anvid designs and manufactures a wide range of high-quality steam appliances for floor care, all purpose cleaning, and garment care. Why is steam cleaning the most effective cleaning method available? What are the types of surfaces that can be cleaned by steam? Are there any limitations? Obviously, people with allergies would benefit from the sanitizing and germ-cleaning power of steam. But what other types of medical conditions can steam cleaning help improve? Talk about how important hand hygiene is to a medical professional, especially to one who wears jewelry, and how the sanitization of their jewelry is so critical. How much does steam temperature play into the germ-killing power of a steam cleaner? Can it be too hot? What is the ideal temperature? There are a lot of different steam cleaners out there. What are the most important features to look for? SUMMARY: There's no question that a clean house goes a long way towards maintaining your family's health. It is also a critical aspect of managing certain medical conditions, such as allergies or autoimmune diseases, where even a few germs can trigger severe reactions. But "clean" is not enough. For maximum protection against harmful germs and bacteria, nothing beats the power of steam. And since most surfaces can be cleaned with steam - including bedding, couches, countertops, jewelry, even your baby's pacifiers - there's no reason to let germs invade your home or your health. Robert Moeller has over 20 years’ of diverse consumer and electronic experiences working with all major retailers from coast to coast. 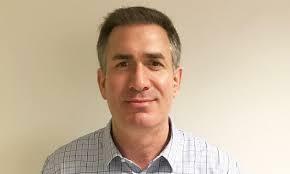 He has a proven track record of leading sales, marketing, merchandising and distribution for large publicly traded and small privately held companies. Before joining Anvid Products, he served as Director of Sales and Business Development for Tassone Enterprises, where he managed and directed a national sales organization for multiple brands. He was also National Sales Manager at The Homedics Group, a Michigan-based firm offering a full line of in-home wellness products designed to promote well-being. 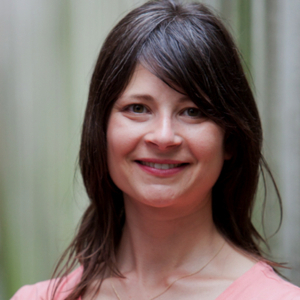 Lisa Schechtman, the Director of Policy and Advocacy at WaterAid America, an international nonprofit dedicated to improving access to water, sanitation and hygiene resources in some of the world’s poorest countries joins eHealth Radio and the Health News and Non-Profit Channels. How does WaterAid bring clean water to countries across the globe? When it comes to health issues internationally, how does lack of clean water and lack of proper toilets contribute to the problems? How can listeners help WaterAid bring clean water, sanitation and hygiene to these countries? How can listeners contribute to, or get involved with, WaterAid? Lisa Schechtman is the Director of Policy and Advocacy at WaterAid America, the US member of WaterAid International, the world's largest NGO dedicated to providing safe drinking water, sanitation and hygiene services. She has more than fifteen years' experience in global health and women’s rights advocacy, and focuses especially on women's health rights and integrated health service delivery. Lisa has previously held policy and technical support roles at the Global AIDS Alliance, Population Action International (PAI) and Amnesty International, and served on the Developed Country NGO Delegation to the Board of the Global Fund to Fight AIDS, Tuberculosis and Malaria. Lisa holds a B.A. in English Literature and French Language from Northwestern University, and an M.A. in International Human Rights and Global Health Affairs from the University of Denver. Alan Koeppen Media & Marketing Executive at BioBidet, a leader in the American bidet industry for over the past 10 years with a mission to introduce and educate everyone in the US to the amazing health, hygiene, cost and environmental benefits to using a smart toilet seat instead of toilet paper joins eHealth Radio and the Health News Channel. How long have you been in business and how many products do you have? Before we talk about what is a smart toilet seat, what exactly is a bidet? There are traditional bidets which are a lot like a second toilet. They’re heavy, require additional plumbing and more floor space, etc. But you have a “smart toilet seats” what’s the difference between those? Who would benefit the most from using a smart toilet seat? What trends are you seeing in the bidet industry and what do you perceive the future holds for these devices? 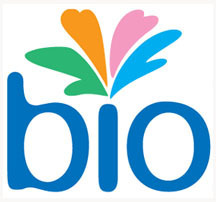 At Bio Bidet, we pride ourselves on quality products and exceptional service. We have a tight-knit team fully dedicated to spreading the idea that Water Does It Better. We stand by our products and our customers, and look forward to helping you start a cleaner, healthier lifestyle. We started off as a small company and have grown with emerging bidet market in the US and Canada for over 10 years. BioBidet has been an innovative leader in the bidet industry and are constantly seeking to provide the highest quality products to our customers as we continue to grow and expand further into 2018.